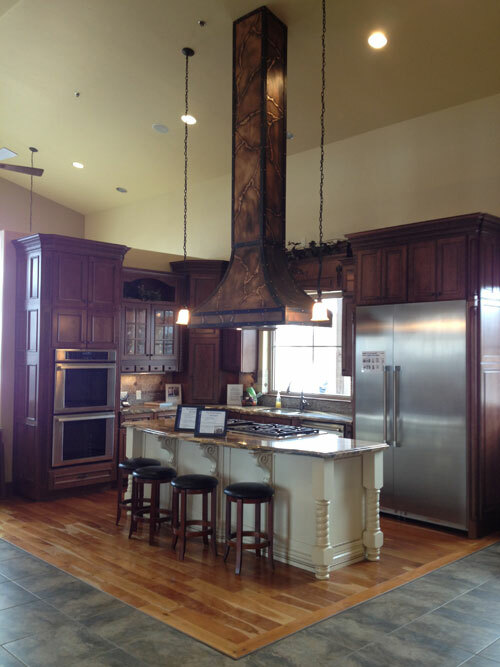 Part of the DreamMaker Bath & Kitchen Design Center in Ogden, UT. The housing market has been in the midst of a sharp recovery, and demand for homes has pushed prices up throughout the country. That’s great news for the economy, and it’s especially good news for the owners of remodeling businesses. First, homeowners once again have equity that they can tap to pay for long-awaited home improvements. Secondly, now that demand for housing has returned to its long-term norm, homeowners are discovering that when they remodel to make their home nice, they are also adding much more value to their home. Remodeling Magazine’s 2014 “cost vs. value” report, released in January, shows just how much value homeowners can expect to add through various remodeling projects. The magazine tracks the average cost for the 35 most popular remodeling projects, as well as the value those projects retain upon resale. The magazine tracks the data in 101 different cities. In 2014, the value upon resale was up in all 35 categories. 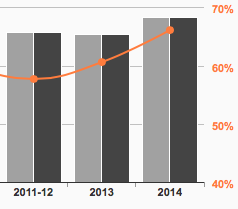 In essence — value is no longer being driven by cheaper construction costs — those costs actually rose in 2013. But resale value rose much, much more quickly. After dipping during the recession, the ROI of remodeling projects started to climb in 2013, and is expected to climb more this year, according to Remodeling Magazine. Overall, remodeling projects recouped 66.7% of their costs upon resale in 2013, but that figure is higher for some types of remodel, especially kitchens and baths. The average bathroom remodel recouped 72.5% of its cost in 2013, a major kitchen remodel recouped 74.2%, and a minor kitchen remodel recouped 82.7%. In some parts of the country, the value was even better. Why do these numbers matter for a remodeling business owner? When homeowners are deciding whether or not to remodel; resale value is often a critical component of their decision-making process. Nobody wants to live in an outdated home, but few people want to over-improve their home, either. As the resale value of remodeling projects increases, people are more willing to realize their dreams by tackling a remodeling project, which means more sales for remodeling businesses that are able to stand out in the marketplace.